You are invited to spend a day with us at Dreamweaver Ranch. Come join us on a tour to meet all the horses at the ranch. Watch out for Hollywood...he likes to sniff you! After that we will get to learn how to be safe around horses while we prepare to brush and groom them. Nikki loves to be brushed! 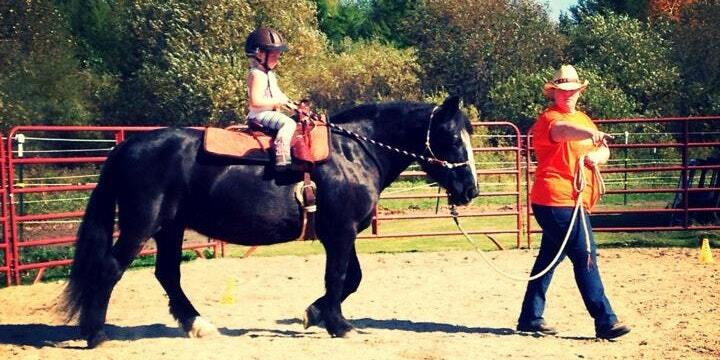 Then we will saddle up and take turns riding while being assisted by one of our ranch volunteers. Pre-registration is required. Tickets often sell out so get your ticket now. Contact us for more information at (807) 276-5101. The next family day will be posted in April, 2019.